Fort Worth loves hardwood floors but there is an undeniable trend toward engineered wood floors. You read that right; many builders, renovators, homeowners, business owners and designers are opting for new and improved engineered wood floors over their solid hardwood and solid wide plank floor cousins. The shift is prompted by technological advances over the last 20 years. Today’s engineered floors have little semblance to the floors that were designed to cover concrete slabs years ago. Engineered wood floors are now serving homeowners and businesses well in every room of the home or office. It turns out that not all solid hardwood floors are created equally. That’s also true for engineered wood floors. Read on to find out why buyers in Fort Worth are migrating to new and improved engineered wood floors! Water and Temperature Variations – We know that solid hardwood floors cannot be used in certain rooms where moisture and/or temperature variations might occur. Thanks to 21st century technology, engineered wood floors are almost completely impervious to these variables. Builders and contracting professionals refer to this resilience in terms of performance and engineered wood floors perform in every room, in multiple applications in just about every location! Durability – Solid hardwood floors are known for their durability but engineered wood floors have made huge strides. Builders in Fort Worth are impressed and say that engineered wood floors can survive 4 or more surface refinishing jobs and reliably last up to 100 years. For most Fort Worth buyers, that’s more than long enough! Price and Installation Cost – Engineered wood floors are much easier to install than solid hardwood and are significantly less expensive to purchase. Buyers save in both these calculations. For purists, today’s engineered wood floors can have the tongue and groove look and feel as well as the pegged look. What’s not to like? Home Value – Solid hardwood is warm and brings a certain traditional feel to the home. But, builders say engineered wood floors add value and comfort to the home as well. These floors can be adapted to every room or run seamlessly throughout the home. In Fort Worth, varying the plank width of engineered wood floors has become a popular trend. These planks are examples of the many technological breakthroughs with engineered wood floors. 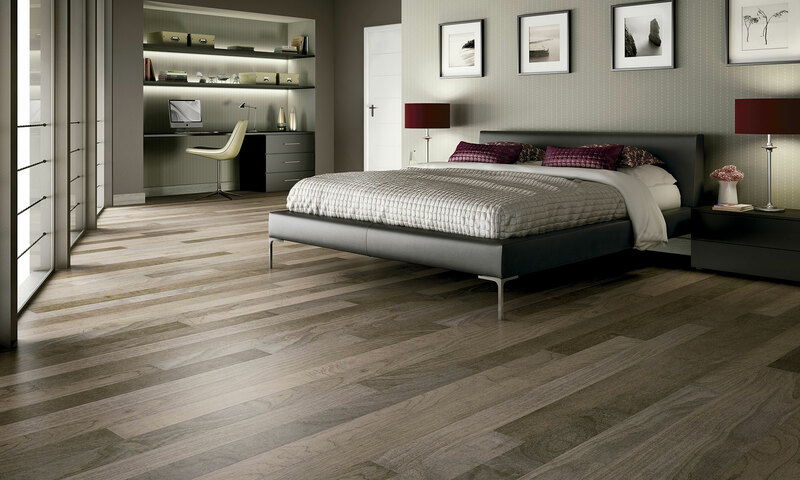 Below Grade Applications – Engineered wood floors have always been the most popular and worthy floor covering investment in rooms that are below grade, where a host of climate and environmental challenges make solid wood floors a poor choice. This element has not changed but the sophistication level of engineered wood floors has certainly increased and brought them into offices and rooms above grade. Yet, basement engineered wood floors continue to thrive in the Fort Worth marketplace. Maintenance – Solid hardwood floors require far more upkeep and maintenance than their engineered counterpart. These tough surfaces require little maintenance and can withstand pets easier than sold wood floors. In pet-friendly Fort Worth, that scores big points! When Sustainability Counts – Engineered wood floors are built with lower layers of scrap wood that support the hardwood surface. That means less hardwood is used and fewer trees are cut to make your floor. Environmentalists in Fort Worth like this option. And, we are not alone. Today, homeowners in Florida and throughout the Northeast are trending to engineered wood floors. Hey, solid hardwood floors are the Cadillac floor covering. But, not all Fort Worth homes, offices and budgets can accommodate extravagant floors. When practicality figures in, Fort Worth homeowners and business owners are giving engineered wood floors a hard look for good reasons.